Abbey Driveways West London Ltd is one of the UK’s leading installers of printed concrete with over 20 years experience both in the UK and overseas. Bringing a unique set of skills to the UK market, specialising in only the very best projects. 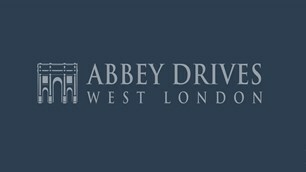 In West London, Abbey Driveways has a mission to provide high-quality stamped Concrete and other types of decorative concrete finishes to clients engaging in various types of commercial and Residential projects on-time, hassle free and at the right budget to suit your needs. Our portfolio of projects are as impressive as they are diverse containing everything from Royal Palaces to Shopping Malls. Abbey Driveways have a very unique Vision for how our customers should be treated we aim to provide our customers with the very best service possible. We aim to offer the very best in working practises. We aim to offer the very best in customer services. We aim to offer the very best in building materials. We aim to offer the very best in design and planning. We aim to offer the very best in surfaces and finishes. We aim to offer the very largest range of patterns and colours.